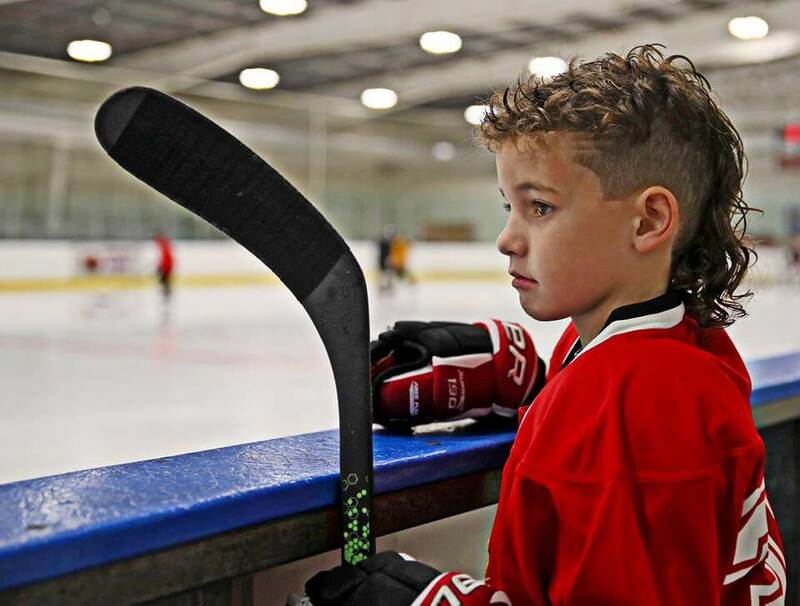 Aside from the fear of not being good enough, another intimidating factor that quells a lot of hockey families from even considering elite hockey is the cost. I'll admit, I was right there with you. First, can I even afford it? And, second, was the additional cost even worth it? Hilariously, when I was contemplating those two things, I honestly had ZERO idea how much a season of elite level hockey would cost...I was just assuming it had to be more -- way more -- than I'd been paying for town level hockey. To date, my kids have *never* had a practice earlier than 7:00am and only once had a game start earlier than that. Once. But those persisting myths aside, regarding the cost of elite hockey, I was right. It is more. But it wasn't double or triple like I'd anticipated (feared?) in my head. My uninformed perspective of the costs was all wrong. All wrong. I almost laugh at how foolish my original concerns were...they were *that* far off. Town league hockey, in my neck of the woods, runs from mid-October to mid-February so, basically, it's a four month season. At the travel team level, they practice twice a week for an hour and generally have two games each weekend. Grand total, around 35 games or so, give or take. Put that all together, we'll say the season lasts 18 weeks, so there are 36 hours of practice plus 36 on-ice hours for games. First off, that's a horrible 50/50 ratio for player development where the practice time equals the the game time. I'll save that argument for a later date but, all of that aside, it's 72 hours of ice time. Ice time is every program's largest expense so that's what makes up 99% of their tuition fee. During our mite year playing travel (half ice) hockey...the tuition was $2000 and didn't include things like the uniform or warm-ups or any of that stuff. In the end, we were paying around $28/hour for ice time. I know, when you break it down like that, a generic hockey practice of standing in line to skate around cones while someone's dad watches sounds pretty outrageous, right? So, now let's look at an Elite team's season. They generally start in mid-August and play through mid-March. It's a 7 month season -- almost double that of the Tier 4 team's season. Elite teams are travel teams and routinely play in excess of 60 full-ice games per season, including tournament games and playoffs. My son's team played 70 games as a mite...and that was probably too many and just to make it more conservative, we'll say that elite teams play a 60-game schedule. We have 3 hours of on-ice practice each week. That works out to 90 hours of practice if we say the season is, conservatively, 30 weeks long. In addition, the elite teams also have off-ice dryland training. Some teams do it once per week, others do it twice. Again, we'll go conservative and say it's once per week so there are an additional 30 hours of hockey related instruction. Not even mentioning all of the semi-random "free" ice we receive for skills sessions (probably around 10 hours per season), or the week long training day camp in the summer, or even the twice per week summer off-ice conditioning programs, the elite teams conservatively offer 60 hours of game time, 90 hours of on-ice practice, plus another 30 hours of off-ice practice during the season. Add it all together and it's 180 hours of hockey. Yes, two and a half times as much as the Tier 4 team offers. Tuition, at the mite level, was $2400. Using the same calculation I used above, it's costing $13.33 per hour or about how much it costs to go to a public skating session with your son or daughter. Everyone knows that, while games are fun, practice is where the kids get better. 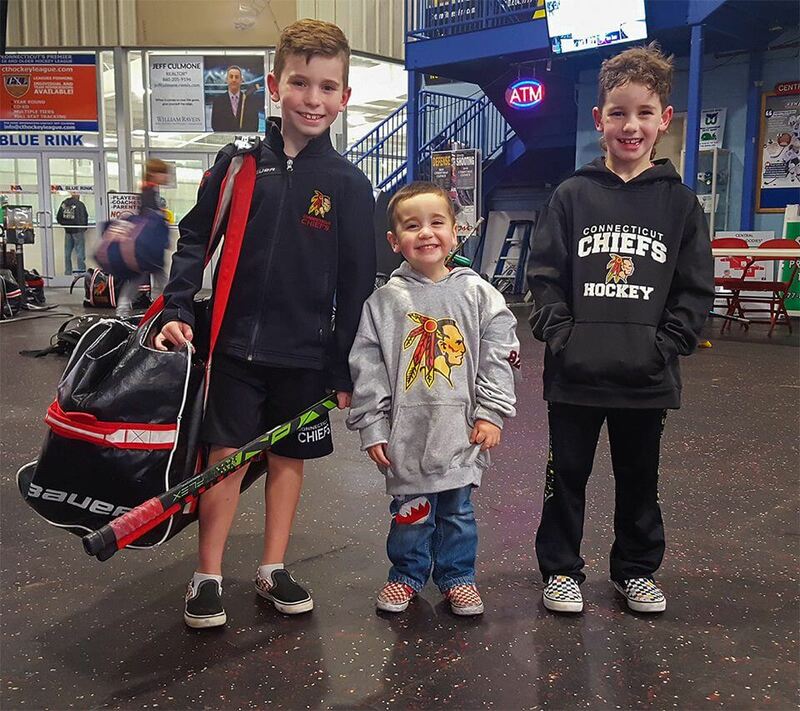 Seventy-five percent of the hours on the ice for the elite team were spent on practice...and they still played twice as many games as their town league counterparts. And here's the craziest part -- the coaches aren't just a couple of dads trying to look cool in their illegal, I mean, retro equipment. We were blessed to have quite possibly the two best coaches ever assembled to coach a Tier 4 level Mite B team. I mean, for real, they were elite level coaches...but more usually, it's a dad who might play a little men's league like me that ends up coaching the little guys...and only cause their kid is on the team. And he's the starting center. And he's awesome. You can't convince them otherwise. Okay, so I'm not a head coach and here's why -- I'll be the first to tell you, my backwards crossovers are weak and I'm less than confident when stopping on my left foot. Not afraid to admit it. 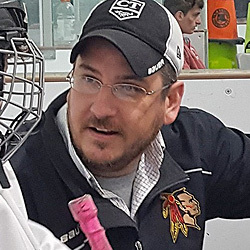 Point being, while I mean well and I'd certainly love to be a coach, I'm not an ideal candidate to appropriately develop skills for a youth hockey player. They won't get better by following my lead. So, yeah, $13.77 per hour is a steal. Believe me. I mean, I'm one of those suckers that routinely pays over $100 an hour for private coaching...from a coach that coaches elite hockey. Really, you'd be crazy not to get in on this... Two and a half times more...for less than half the cost...for a superior product. Now, I know tuitions vary greatly across the country so if my numbers seem super high or super low...it's not the number you should focus on. It's how small the difference is. From my experience, the difference was $400. A decent chuck of change, yes, but for the quality of what we received and how much more time on the ice we had, I believe it was worth it. I know I said it already but it bears repeating. For 16% more cost, we received double the games, well over three times more instructional time, and that instruction was coming from experienced paid coaches. Elite level hockey is a great value. The Deciding Factor Shouldn't be the Money, though. So we've covered our bases letting you know that neither the money or a supposed lack of talent should keep you from giving elite hockey a try. Neither of those should intimidate you any longer, I hope. The one remaning factor where there actually is a HUGE disparity between the two levels of ice hockey is...the time committment. The elite season is almost twice as long. There are also extra practice times each week. For many hockey families, those sound like positives. 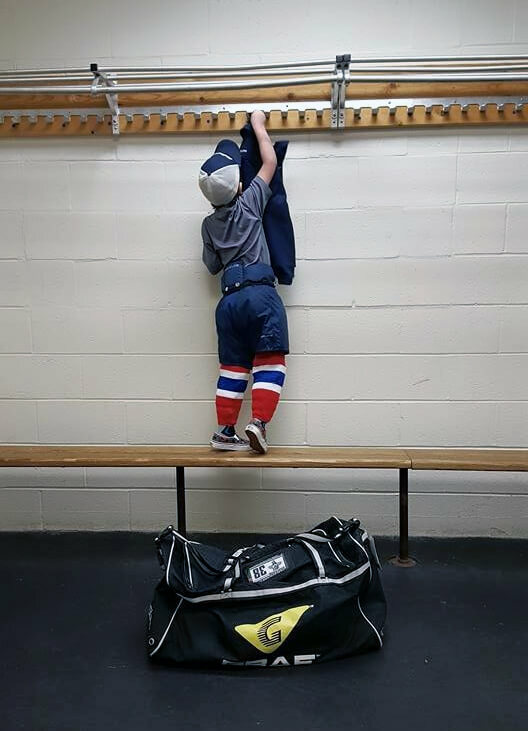 For others, it's overwhelming to have hockey clog up your weekly routine in a hurry...and for 7 months solid. You don't have to tell me -- I've got 3 kids. On top of it all, there's a lot of travel on the weekends. Amongst the rumors of 4am practices and bench clearing brawls, neither of which ever actually happen, you may have also heard about elite level teams having to stay in hotels all the time and eat out at restaurants all weekend, every weekend. From my experience, the hotel stays, while they do exist, are pretty far and few between so they're not really cost prohibitive. Our team doesn't stay in dumpy motels...but we're not staying in $200+ per night rooms either. And it's really infrequent. Hotel stays are fun, though. Like mini-vacations where you know everyone in the entire hotel and there are 30 adults you know keeping an eye on your kids as they run freely. It's...comfortable. Aside from the kids bonding away from the rink, it's a great time for the parents too, hanging out with friends "on the road" but, again, it's the time away from home -- the time commitment -- that's a killer. We spend a lot of time at the rink. Clean your house? Yeah...not this weekend. Go grocery shopping? Eh...can't squeeze it in. Mow the lawn? Hmmm... Is 10pm to late to fire up the lawn mower? For my family, even with three kids, we're able to make it work but I can totally understand how others could find it difficult or even impossible to commit to something like this. 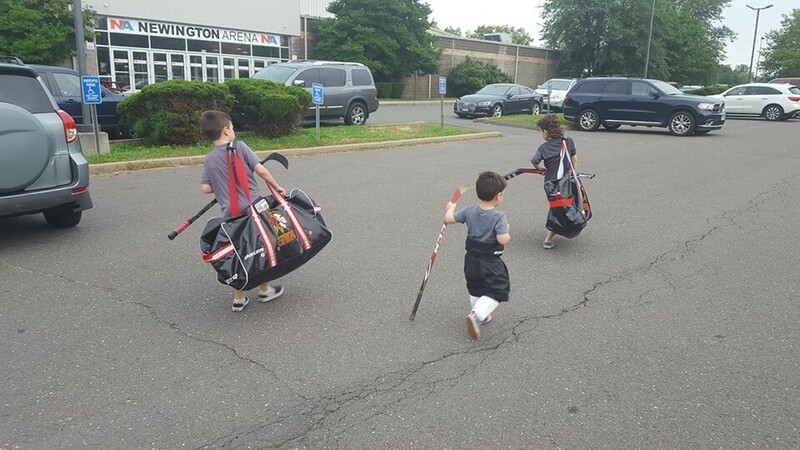 For us, elite level hockey, aside from making my kids far better at hockey, has made them more disciplined, harder working, more confident, led them to hacing closer friendships, and, frankly, all three are just better people as a result of being on the team they put so much time in to. They have six packs too. Like, really, abs of steel on a little kid. That, and someday, I think they'll really value all of the time spent in the car to-and-from hockey with mom and/or dad more than they would if, instead, they were at home playing xBox and watching terrible shows on Nickelodeon for hours on end. I know I value the time spent in the car. It's our version of family time which might sound sad until you really think about how infrequent you really get one-on-one time with your children. We get that "time" four days per week...and it can last for hours.